List Rules Vote up the jokes you can't believe made it into a kid's movie. Just as Dr. Seuss books are written for kids, the films are supposed to be child-friendly as well. However, turning those fairly short stories into full-length movies is a pretty difficult task, and somewhere along the way, writers got creative – perhaps a little too creative. It's actually pretty common for there to be jokes aimed at adults in children's movies - just look at the amount of adult jokes in Pixar movies. And while there have only been a few Dr. Seuss movies, there's plenty of non-PG rated humor in them. It’s time we take a look at just how dirty they got and dive into the adult jokes in Dr. Seuss movies. Vote up the jokes you're most surprised actually made it into the film. This is the definition of a subtle adult joke that even some grownups won’t pick up on. 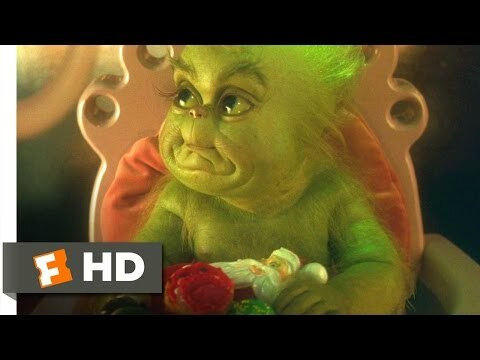 As seen at 1:37 in the clip from The Grinch above, there are people dropping a bunch of keys in a bowl. If you’re unfamiliar with a key party, it's basically a swingers' party - couples show up, the men drop their keys into a bowl, and at the end of the night, the women pick a set at random and go home with whoever they belong to. The Cat sees a picture of a blonde woman and grabs it, excitedly asking “Who is this? !” as his hat becomes fully erect and we hear a "Boing!" sound. When Conrad informs him that it’s his mother, the Cat says “Awkward,” as the hat droops back down to normal size. Then, the Cat stuffs the picture in his pocket, like a true creep. 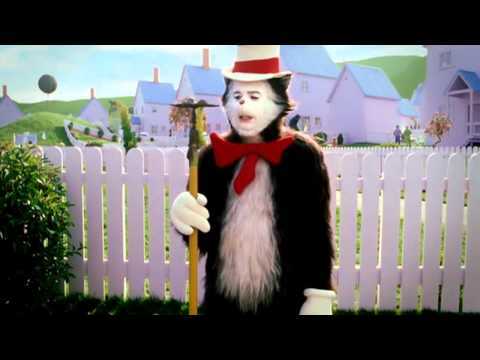 In The Cat in the Hat, there’s a scene in which the Cat approaches a dog, Nevins, with a gardening hoe, and says, “Alright, Nevins, time to die.” The dog runs off, and the Cat says “Dirty hoe” to the gardening tool for no apparent reason, other than to make an “edgy” joke in a children’s movie. 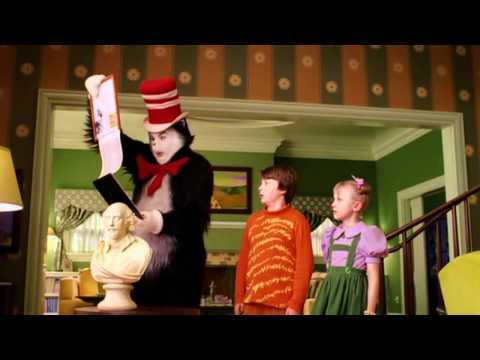 In The Cat in the Hat, while riding Mrs. Kwan, the Cat, Sally, and Conrad pass a toilet that’s spewing out flames. The Cat says, “Something like that really burns my a—“ before an unexpected drop cuts him off.